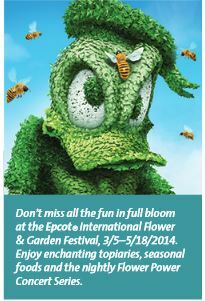 Disney World Spring 2014 Offer - Pixie & Pirate Destinations *|* Wishes become memories. One dream at a time. It’s the perfect time for you to visit the Walt Disney World® Resort! On select dates in 2014 you can save on rooms at select Walt Disney World Resort hotels. Travel between 3/14-4/12 and 4/20-6/15/14 and save! SAVE UP TO 30% on rooms at select Walt Disney World® Resort hotels. Upgrade to a package by adding tickets and dining to your reservation! Book by March 31, 2014, for stays during select nights March 14-April 12 and April 20-June 15, 2014. Contact us today for more details and to get started making memories! The number of rooms available for this offer is limited. Savings based on the non-discounted price of the same room. Additional per adult charges may apply if more than 2 adults per room at Disney Value, Moderate and Deluxe Resorts. Length of stay requirements may apply. Select resorts and room categories may be excluded. These are based on Disney's policies - not Pixie and Pirate Destinations' policies. Book by March 31, 2014. Similar offer available for Chase Disney Visa cardholders.